TEDxWestBrowardHigh is spearheaded by West Broward High master teacher and curator Horace Buddoo, along with West Broward High TED-ED Club members, teachers and students. 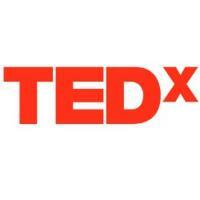 Buddoo applied for a TEDx license as a way to promote a culture of collaboration and idea sharing for students. The line-up of speakers, known as TEDx Talkers, embodies forward thinking with great ideas and extraordinary stories to tell. TEDxWestBrowardHigh’s participants will experience stories of success, inspired through examples of hardships overcome and reflect on challenges that bring unexpected insight. Sponsors of TEDxWestBrowardHigh include Florida Power & Light, Roho Kitchen, Steady Image Media and M-DZYN. For more information about TEDxWestBrowardHigh or to purchase tickets, visit www.tedxwestbrowardhigh.com.